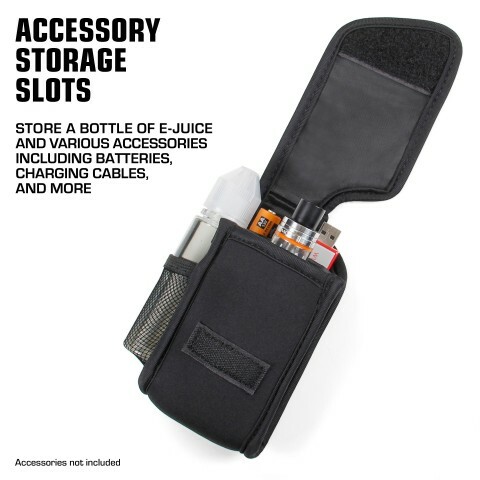 Designed for practical storage and travel, USA Gear's Vape Mod Carrying Case is the ideal solution for on-the-go vaping. 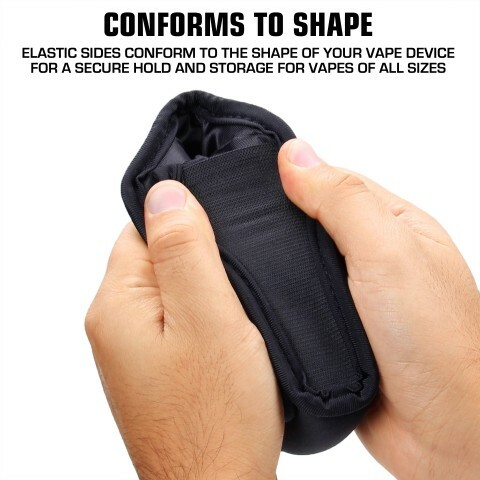 Our design incorporates storage for e-juice smoke liquid and is made from a flexible and padded neoprene material to endure heavy wear-and-tear from daily use. 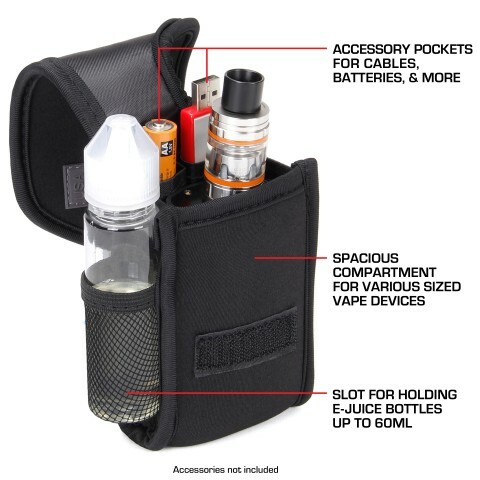 The spacious interior, reinforced with a flexible side webbing, accommodates e-cigarettes of various sizes and brands including Blu, innokin, Janty, Halo Cigs, and many more. 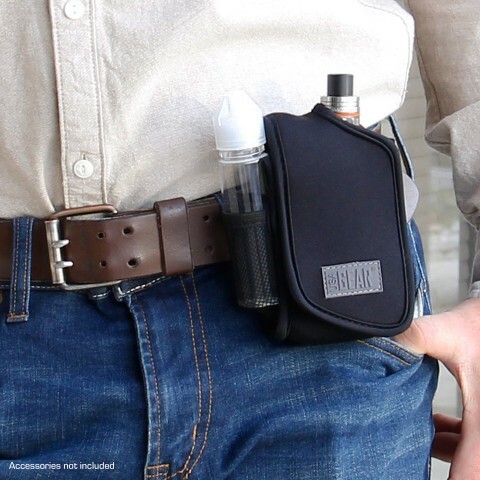 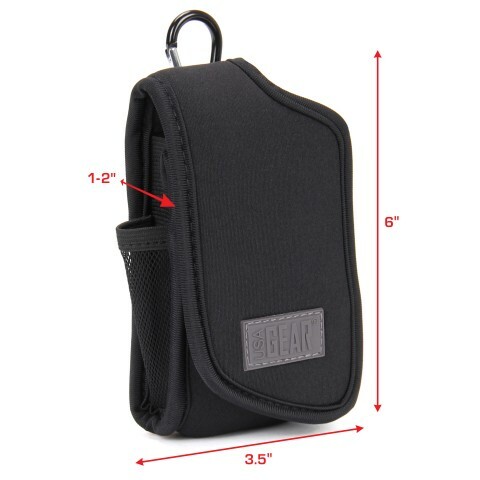 The vape holster is equipped with a rugged belt loop sewn into the back. 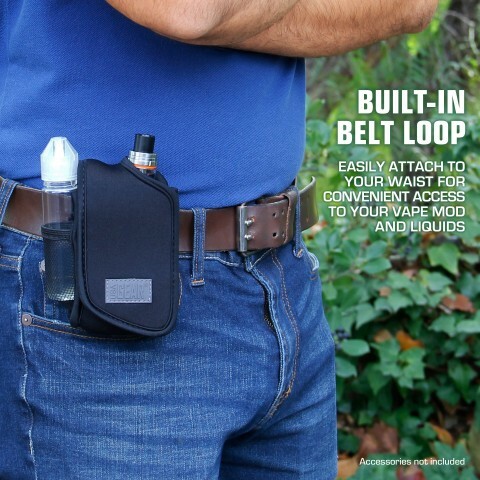 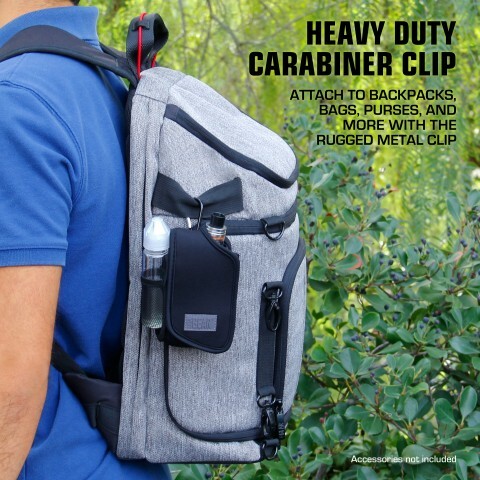 Run your belt through the loop to attach directly to your waist, or utilize the carabiner loop to attach the holster to a backpack, purse, or other appropriate strap. 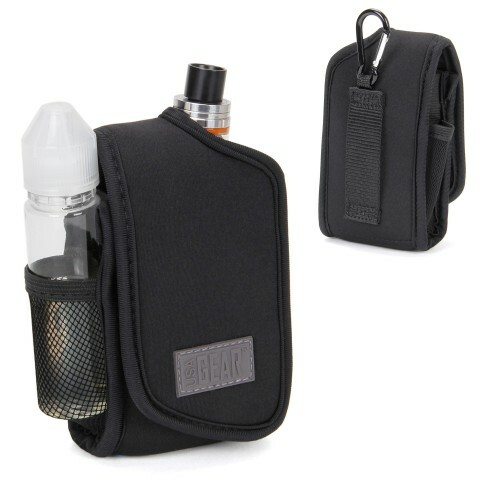 The soft material protects your vape device and battery coil from adverse weather and humidity that could potentially damage your vape tank and kit. 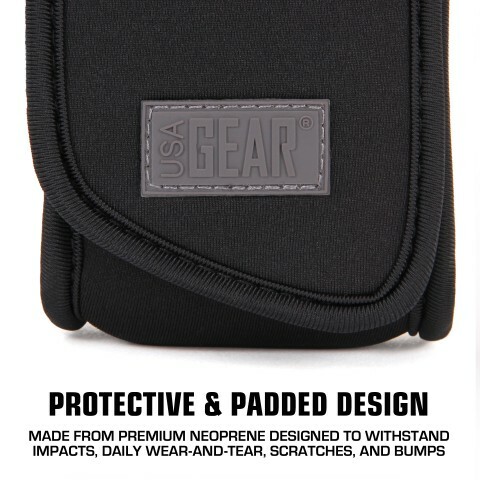 Store, organize, and protect your vaporizer gear with USA Gear.